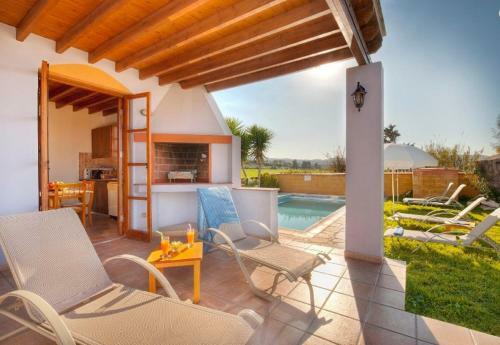 Spacious villa and room, extra towels provided, VERY clean and maintained, amazing pool for the kids, great location near stores and Latchi beach, and wifi was working great. Great view and balconies. good location close to the beach and a coastal path to the harbour area with restaurants. Location is great to visit latchi, loads to do around in a very short distance. You get the best of both worlds . Peace and tranquility, along with restaurants and harbour close by. Мы брали виллу Артемис с тремя спальнями. Она выглядит как дом, о котором наверняка мечтает каждая семья. Есть и бассейн, и зона барбекю. А камин нам невероятно украсил вечера, а заодно и помогал согреться, потому как к ночи температура падала до +8...+9С. Комнату, в котором он находился, мы тут же назвали каминным залом и, поверьте, это не преувеличение. На заднем дворе дикий фруктовый сад, где мы каждый день собирали мандарины, свити и гранаты. Все очень даже съедобное. Туалет с душем есть на первом этаже. Такой же туалет с душем есть на втором этаже и подразумевается, что им пользуются жильцы 2-х гостевых спален. В 3-й спальне (мы ее для отличия окрестили хозяйской) был свой собственный туалет с ванной. На кухне есть все необходимое, включая стиральную машину и посудомоечную машину. Η τοποθεσία κοντά στη θάλασσα, ο εξαερισμός του σπιτιού με τα πολλά παράθυρα και μπαλκονόπορτες, ο σχεδιασμός του σπιτιού από μέσα και έξω, ο εξωτερικός χώρος της πισίνας με το γρασίδι, το μέγεθος των υπνοδωματίων, τα κρεβάτια, ή μεγάλη βεράντα στον πρώτο όροφο με θέα στη θάλασσα, η σχεδόν απρόσκοπτη πρόσβαση στο wifi του σπιτιού και οι άφθονες υποδοχές για φορτιστές. Удобное расположение, от моря в 2х шагах, общественные пляжи есть справа и слева. Прогулочная дорожка до Латчи, минут 15 всего. До Полиса 10 мин на машине, там же есть большой супермаркет. На вилле есть все необходимое. Лужайка, бассейн - все располагает к отдыху. Есть зона барбекю, обеденный стол на улице. Всё очень понравилось, отдохнули отлично . Чистота, комфорт и уют, домашняя атмосфера. Lock in a great price for The Olympians Villas – rated 8.4 by recent guests! One of our best sellers in Polis Chrysochous! Just a few feet from Latchi Beach, The Olympians Villas is a complex of 10 units each with a private swimming pool. The town of Polis is a 5-minute drive away. Free Wi-Fi is available throughout. The Olympians Villas are spacious and traditionally furnished surrounded by lush gardens. They include 2 or 3 bedrooms, a fully equipped kitchen, living and dining area. They are equipped with a TV, DVD player, dishwasher and washing machine. Each villa opens out to a furnished terrace with sun loungers and umbrellas, where guests can relax and enjoy the Cypriot sun. There is also an outdoor BBQ area and free on-site parking. Within walking distance, you will find traditional taverns, cafes and souvenir shops. The town of Paphos is a 30-minute drive away, while the city of Limassol is within a 90-minute drive. When would you like to stay at The Olympians Villas? 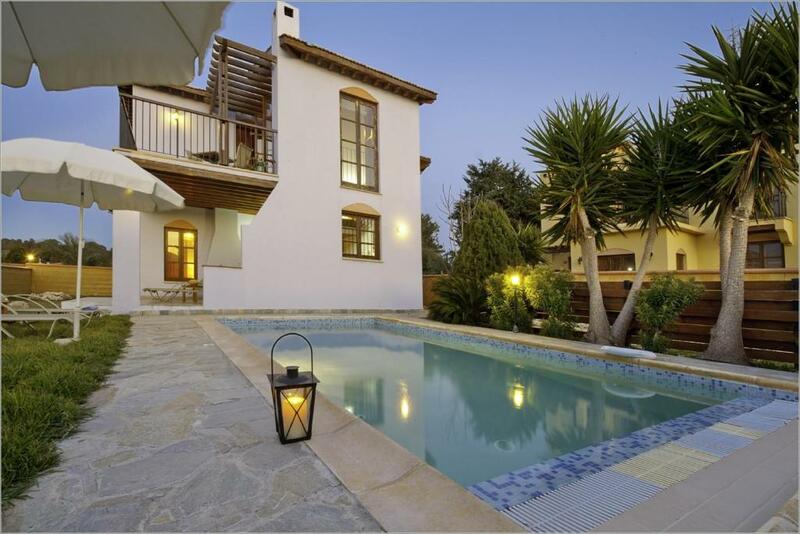 Spacious and traditionally furnished villa which opens out to a furnished terrace with private swimming pool. It consists of 2 bedrooms, a fully equipped kitchen, dining and living area. Air conditioning is available upon surcharge. Spacious and traditionally furnished villa wihich opens out to a furnished terrace with private swimming pool. It consists of 3 bedrooms, a fully equipped kitchen, dining and living area. 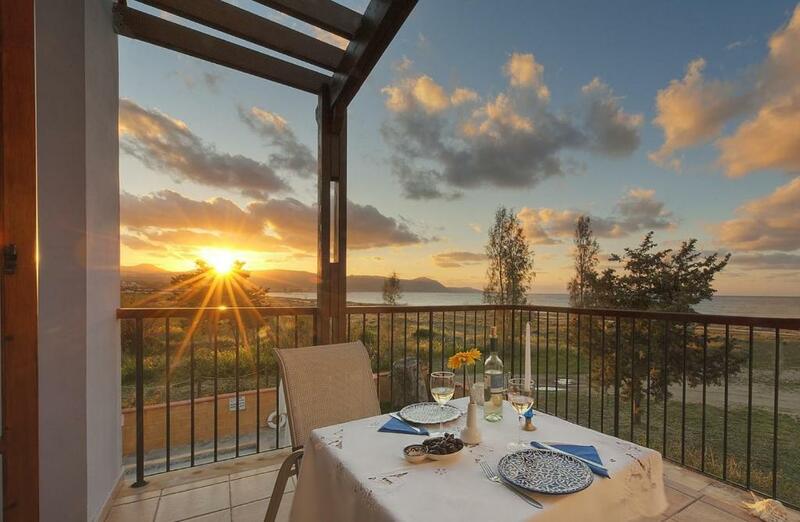 This villa has a balcony, dining area and microwave. An organised complex, consisting of 10 villas, traditional decor. Staff available on a daily basis and 24 hour caretaker in case of emergencies. 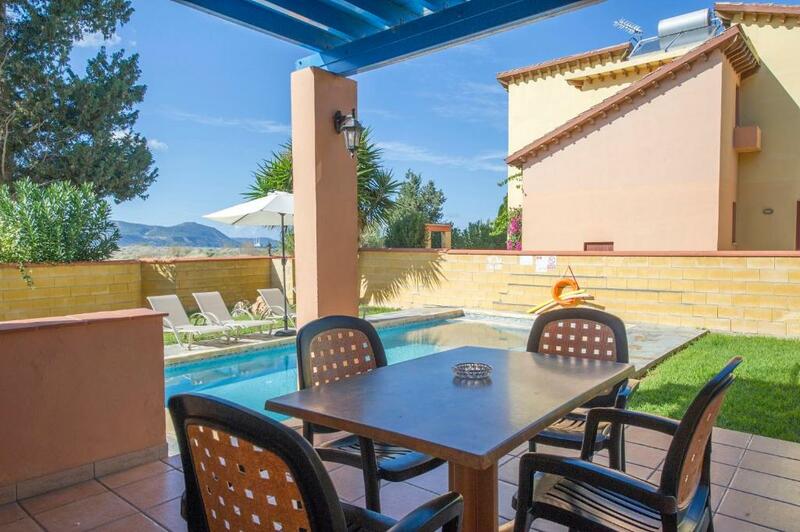 Away from it all, but still very close to supermarkets, bars and restaurants. Fish taverns to choose from. Take the boat for an unforgettable trip to the Blue Lagoon. House Rules The Olympians Villas takes special requests – add in the next step! The Olympians Villas accepts these cards and reserves the right to temporarily hold an amount prior to arrival. Please note that from 1st of November until the 31st of March air conditioning comes with an extra charge of 6 EUR per air conditioning unit, per night. Please inform The Olympians Villas of your expected arrival time in advance. You can use the Special Requests box when booking, or contact the property directly using the contact details in your confirmation. We rented two villas as there were twelve adults and one child aged 2yrs. The whole of both villas need updating and I imagine this would apply to all. Both villas are showing serious signs of ageing. The kitchen appliances need modernising also bedrooms need a few furnishings including some drawers and a mirror in each bedroom. One hair dryer shared between 6 adults was a stretch. Bathrooms need shower heads that are fit for purpose, a shelf in the shower would of helped. Toilets inside the bathrooms/shower rooms were very tight for space. Make sure you buy toilet rolls couldn't find any spare in either villas. A few issues with property need addressing. Could use a bigger screen TV (was 32" or less), mosquito nets on some of the windows could help enjoying the wind at night, some of the toilets were little small. Was a bit chilly at night.